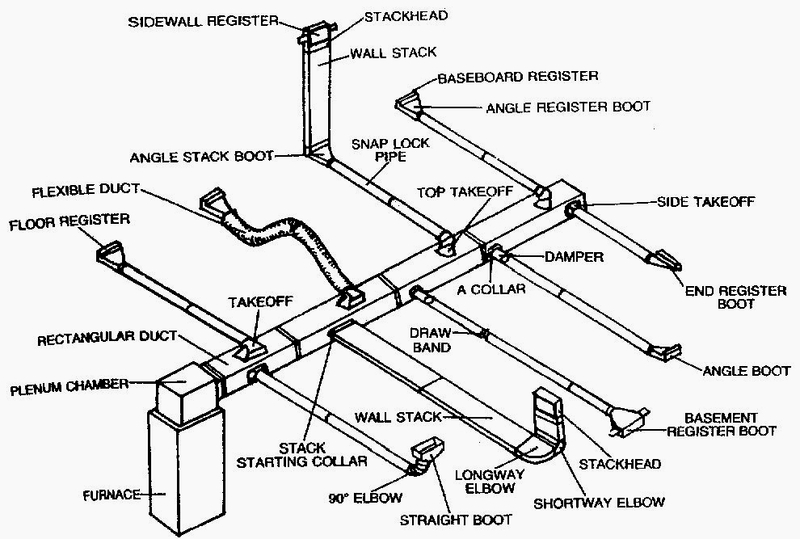 Standard ductwork fitting application diagram. This is a typical heating and air conditioning ductwork layout. Use this diagram along with the navigation tabs above to complete a list of materials you will need to complete your HVAC project. If you have any problems please stop in or give us a call. We will be glad to help you in any way we can. We also provide engineering services from small projects to complete new home ductwork sizing, material lists and layout.